Qualcomm Snapdragon 710 combines some modern features and advancement in achieving fast processing speed. The chip was announced in November 2018 and it is designed to power midrange to top tier devices. The chip is specially suited for upper mid-range Android devices, bridging the gap between midrange and flagship on mobile. Just like similar Qualcomm processors, the Snapdragon 710 design is based on ARM technology, maximizing the 64 bit architecture utilizing 8 Kryo 360 cores in a rather unusual but highly effect manner. The cores run in two distinct clusters, the first clusters consists of two big cores (most likely based on Cortex-A75 at up to 2.2 GHz) while the second clusters is made up of six small cores (most likely based on Coretx-A55 at up to 1.7 GHz). Based on the cpu cluster pattern and the integration of an efficient memory controller which provides support for LPDDR4X, the processing capability of Snapdragon 710 has been observed to be 20% faster than the older Snapdragon 660. The chips comes fitted with a X15 LTE modem which can effectively provide support for 4×4 MIMO with download speed of up to 800 MBbit/s and upload speed of up to 150 MBit/s. The chip also integrates the functionality of the powerful Hexagon 685 DSP which provides next generation artificial intelligence capability at incredibly fast speed without compromising the power consumption. The Qualcomm Adreno 616 GPU produces powerful visual processing experience for users providing stunning and outstanding rendering of images and its capable of supporting High definition games. 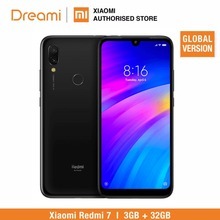 The design also features the premium Qualcomm Spectra ISP which adds professional-grade camera features and the multi-core Qualcomm Artificial Intelligence (AI) Engine. These ensures a high power performance even as its integrates its state of the art architecture. The seamless modern 10 nm process technology ensures high powered operation for all its basic functionalities without drainage. You will experience how the chip gives up energy at an efficient power consumption rate. Over at AnTuTu, specifically on the version 6, the 710 reaches a minimum score of 135848, average score of 136892, median score of 137134 and max score of 137693 points. However, when we unboxed the Redmi Note 7 which was powered by this chipset, it reached 138322 points.